The AfriCamps at Mackers’ Stay and Play Package is tailored for golfing serenity seekers eager to beat the high season rush this May. Picture this. 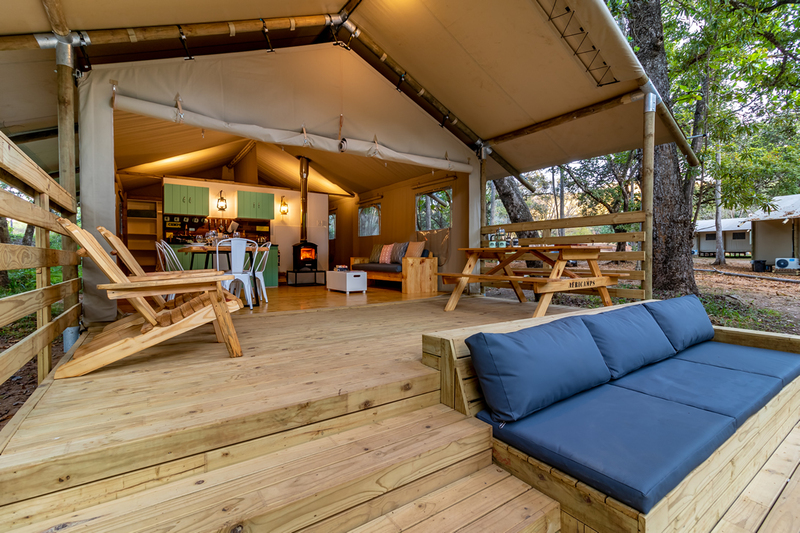 You’re off to a 2-night golfing and glamping break to the lush Mpumalanga Lowveld, staying in AfriCamps’ signature glamping tents at the beautiful AfriCamps at Mackers in Hazyview. 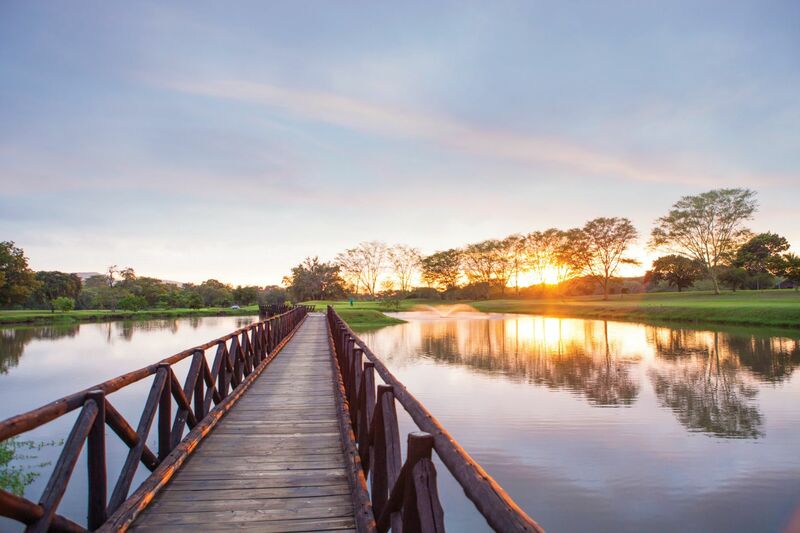 On your itinerary is an early morning self-drive to Sabi River Sun where you’ll enjoy a round of golf with your loved one (or your golf buddy). AfriCamps at Mackers arranges your golf game and even takes care of a golf cart – which means you’ll have a terrific game and might even sink that hole-in-one you’ve been so close to. You’ll return to your fully equipped tent for a quick nap, falling asleep to the lull of the Sabie River flowing just outside. Rested as ever, you explore the property by foot and cool off in the beautiful infinity pool afterwards. You enjoy a sundowner on the deck overlooking lush Lowveld forest with the fire crackling away in the braai. The occasional calls of the 250+ bird species on the property confirms you are tucked away deep in the Mpumalanga nature and you think back on a memorable day spent. Bliss. Select the date of your stay (limited to May and subject to availability). Select the number of tents and guests that will be staying. Each tent sleeps up to 5 people. Select EFT as your method of payment. One of our reservations agents will be in touch within 24 hours, providing an invoice for payment. A 50% deposit is payable to secure your booking. The outstanding 50% is payable a month before your stay. What about the kids? Additional guests are welcome to join you in your tent. Each tent sleeps up to 5 guests. We will need to know the number of guests staying and playing so we can create a custom quote for you. Please indicate the number of guests that will be playing. Additional guests who are not playing are charged at R200pppn. Children between 3 – 16 are charged at R100pppn and kids under 3 stay for free. Want to stay longer? The rate of R3380 includes 2 nights’ stay only. We will create a custom quote for you should you wish to book a longer stay. As always, terms and conditions apply: Please see our terms and conditions before confirming your booking. In addition, please also note that no refunds can be given on the golf within a month of your stay. No refunds can be given due to poor weather conditions. Please note that the package does not include transport to and from the golf course, self-drive only. 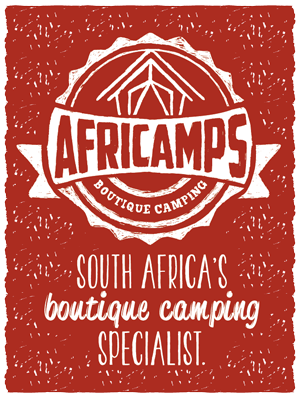 AfriCamps’ first camp outside the Western Cape, AfriCamps at Mackers in Hazyview is magnificently set on the bank of the Sabie River. The area is famous for its easy access to the Panorama route and the Kruger National Park, two of the most popular tourist attractions in South Africa. AfriCamps tents consist of a spacious open plan lounge area with a comfortable couch and a fully equipped kitchen. The dining room area has a solid wooden table with enough seating for 5 people. For winter months the fireplace will be the perfect way to warm up the tent, providing a cozy setting for you and your loved ones. Both air-conditioned bedrooms are furnished with extra length queen size beds, made with crisp white linen and electric blankets. One of the bedrooms also contains an extra single bunk bed, so the tent will comfortably sleep a family of 5. The private bathroom has a hot shower, washbasin and flushing toilet. The private wooden deck at the front of the tent comes with comfortable wooden loungers and a deck sofa. Enjoy a braai at the pit fire next to your tent. 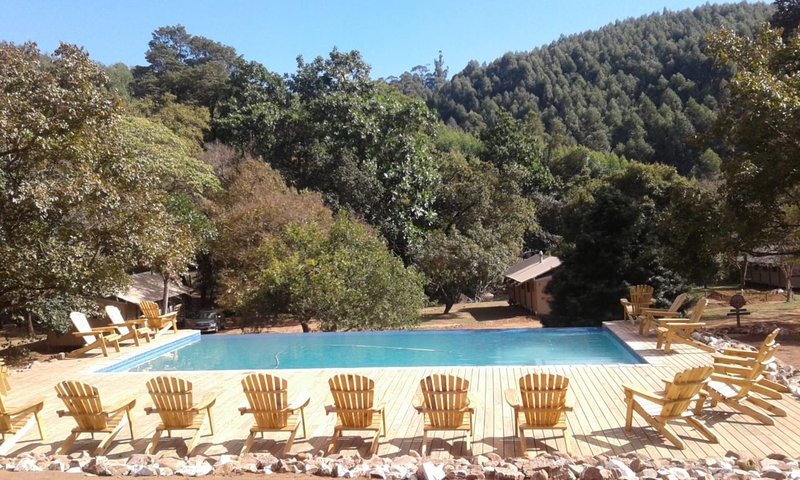 A 22-minute drive east, takes you to Sabie River Sun Resort. Their 18-hole golf course offers scenic views over the hippo dam. 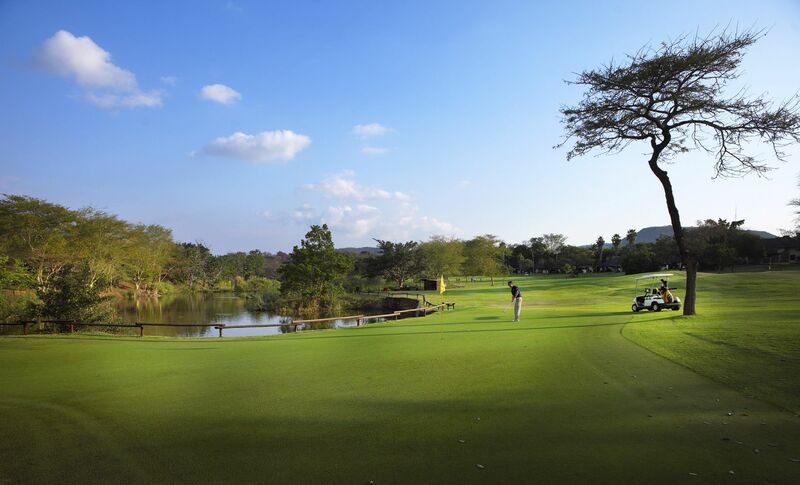 Beautiful surroundings, African wildlife and an exciting course make our resort the perfect destination to include in your Lowveld golfing breakaway. The resort features numerous lakes which are home to a wealth of bird life, hippos and crocodiles.